Some candy choices are smarter than other ones. Help your children pick candies that are less cavity producing. Here is a modifies list of American Academy of General Dentistry guide to best and worst Halloween candies. 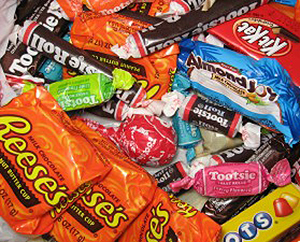 Ask your kids to choose a handful of their favorite candies and trade in the rest. You can bring those candies to our office and we will trade them for a toy. Have them brush and floss their teeth right after eating their treats and limit the frequency of eating them. Shoreh Selki DDS, Pediatric Dentist, Educates Children in our Local Schools. Shoreh Selki DDS, is commited to eduacting the children and families in our community. Dr. Selki along with her dedicated staff visit our local preschools periodically. 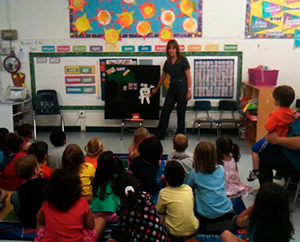 Our dental education program is designed for preschool and early elementary school aged kids. Using age-appropriate activities and engaging story boards we teach them oral hygiene and good eating habits. Our presentations are very engaging and fun for this age group and they are timed and tailored to the needs of each class that we visit. 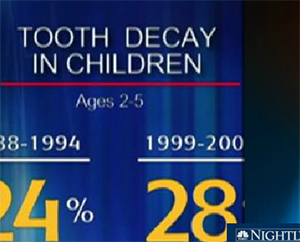 The great news is that tooth decay is absolutely preventable. Our best defence against tooth decay is good oral hygiene and good eating habits. In our practice we emphasize the prevention of cavities through patient and parent education. We take pride in teaching our patients good oral habits using the the most up to date information and techniques available. Brush their teeth twice a day ( after breakfast and before bedtime). You can use non-fluoridated tooth paste until they learn to spit out, then switch to fluoridated tooth paste. Start flossing their teeth at about age 3 at night time. Minimize sugary snacks and drinks (juices and sodas). Reduce snacking in between meals. Bring them to the office for routine dental exams every six months. Shoreh Selki DDS, Pediatrician Educates Children in our Local Schools. Support by Design19. Copyright © 2015 Dr. Shoreh Selki. All Rights Reserved.